Friday Night Clay is a clay experience for almost all ages. 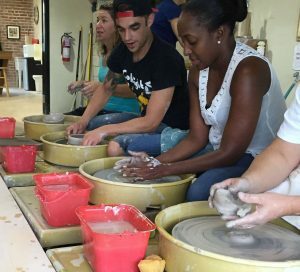 Come play in clay, including wheel throwing or hand building for 2 hours of fun! Every Friday night from 7-9pm. Please arrive promptly at 7pm! Bring a towel, your favorite beverage and your sense of humor! All clay materials included. 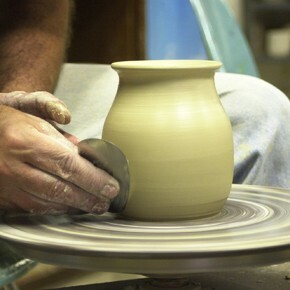 Select your favorite piece at the end of class and we will bisque and glaze it! Finished pieces are available for pick-up approximately 3 weeks after class. You can also bring a friend, your significant other, or a small group for a fun get-together! 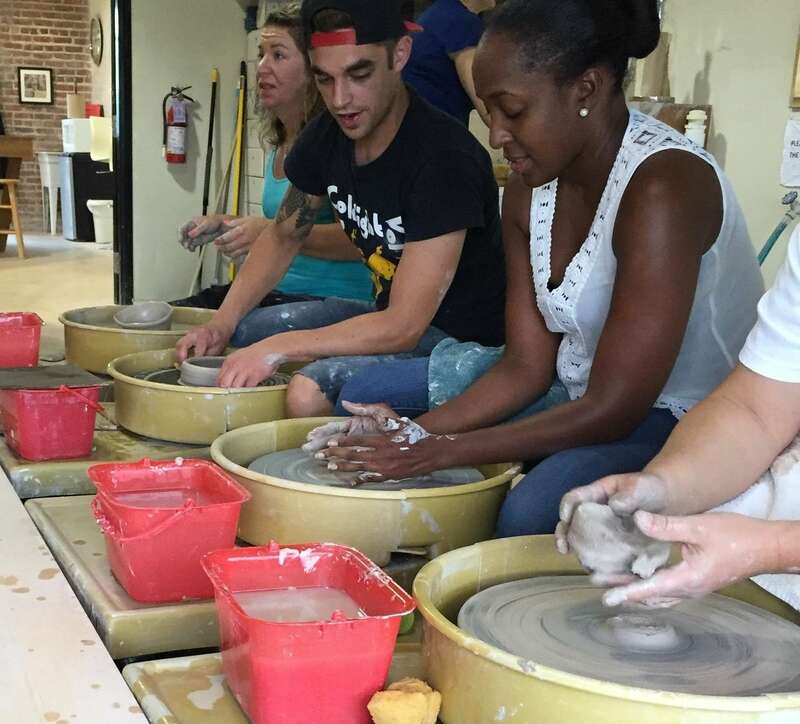 For larger groups and private parties, we also offer a Clay Friends & Fun program starting at $100 for four people. Please call 727-821-7162 for booking.